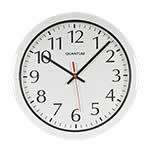 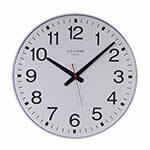 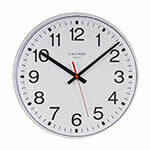 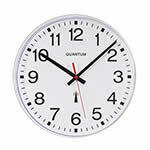 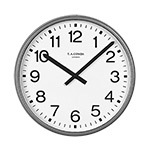 Our wall clocks are clear, and easy to see, with their bold hands and digits they would look great in any office. 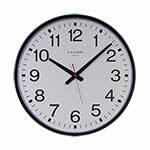 They're available in a variety of sizes and come supplied with batteries. 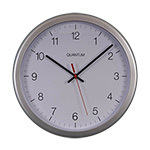 We also supply a weather centre clock, 250mm in diameter, which comes with a analogue thermometer and a hygrometer used to measure the moisture in any environment. 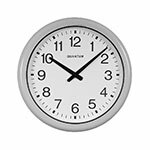 In addition to the standard wall clocks, we are now able to offer a longer lasting version of the plastic wall clocks (radio controlled movement), these longer lasting clocks are fitted with a 4x Duracell LR6 battery pack which result in a battery life of up to 5 years operation.